September going to be such a pretty tight month for me. 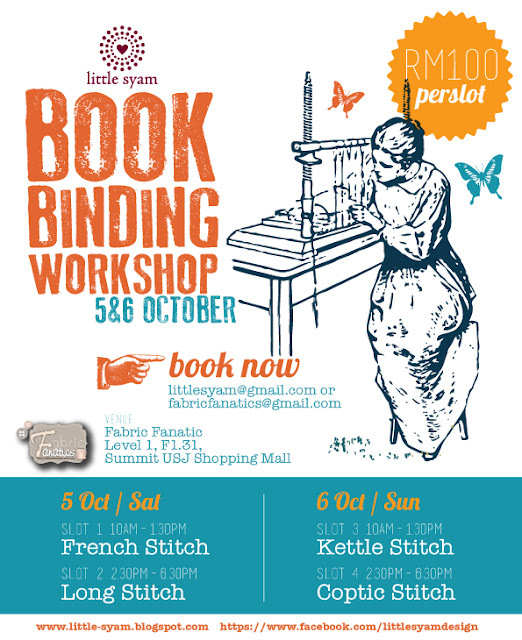 Many exciting project, custom order and bazaar too.. new date for workshop going to be on 5&6 Oct.
Tool will be available for loan. Each slot are limited to 10-12 students only. (Slot consider booked only upon payment of non-refundable RM50 deposit to Maybank account Samsiah Binti Jendol /act no: 164052355030 or you could book from Fabric Fanatics too. Kindly notify us via email of the payment proof once deposit has been banked in.